New York Life Insurance has over 170 years of strength and security in the life insurance business, which means this amazing life insurance company has been around for centuries, giving them a passion and a unique dedication to protect their Santa Clarita customers unlike any other. New York Life has seen the nation develop before it’s eyes and they have been through many events that affected the lives of America’s citizens; this being a key aspect in their ability to best cater to life insurance customers. Former President and Chairman Darwin P. Kinglsey had this to say: “When will New York Life be finished? Never! Its foundations are as deep as human love; its spires disappear in unfulfilled dreams of human aspirations; its great arches support an expanding nave which can cover and protect all who come.” Kingsley’s words are a testament to the company and what clients can expect from New York Life. New York Life believes that, “an insurance policy is only as good as the company behind it.” They are one of two companies who have received the highest ratings in their business market. New York Life is a life insurance company dedicated to helping customers make the best independent decisions for their policies and their lives. 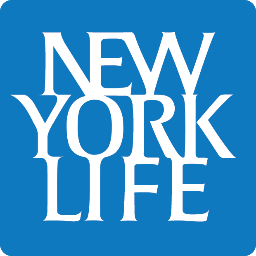 Through being a mutual company aligned with its customers New York Life has been able to provide financial security and peace of mind to families across America. The extraordinary thing about New York Life is that they have truly stood the test of time. New York Life’s agents are big contribution to keeping the company going for centuries, showing that this insurance company will always hold strong for their clients. To be able to say that their company has seen it all and has gained and maintained over one hundred years of integrity, mutuality, humanity, and financial strength is a great honor to them; this is a factor that separates New York Life from the rest. To learn more about New York Life, click here.